Dan Kulp is comedian, actor and singer. He is also the pastor of the First Baptist Church of Manchester, near Rochester, New York. His greatest roles are being husband to his beautiful wife Elizabeth, and an exhausted, yet joyful, father to his four wonderfully enthusiastic children. Children with special needs are not always given to those who are both willing and able to meet their needs. But here we discover there are people who will seek sacrifice in order to provide the life that so many are willing to discard. Confounding the Wise describes the sometimes brutal view that many countries have toward Down syndrome and other diagnoses. Herein also is the story of unconditional love for children who so desperately need those who are willing to give it. 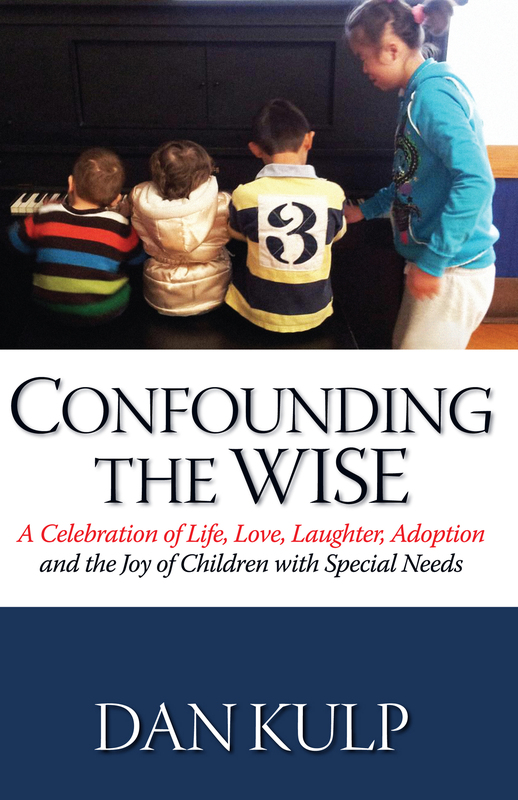 Confounding the Wise is a poignant description of ministry, compassion, understanding and the determination of one family to be in the Lord’s service. Dan and his wife put their money where their mouth is. We don’t need more people talking about Jesus, we need more people BEING Jesus. This book shows what that can look like in real time.